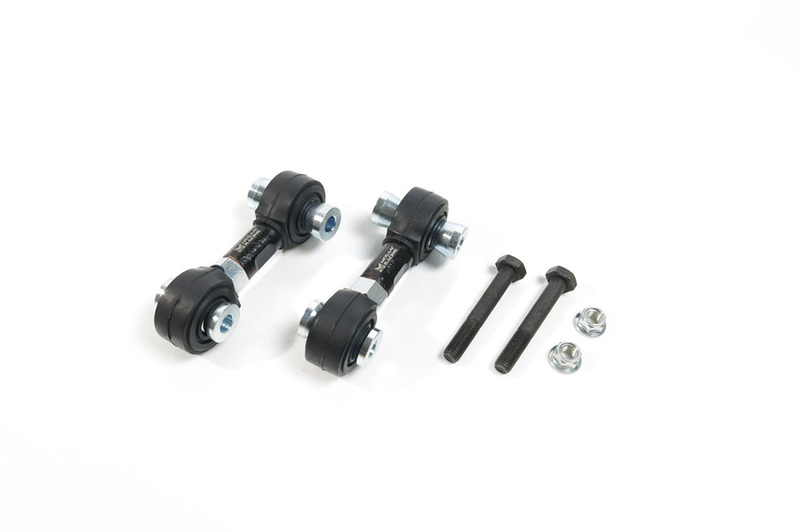 Looking for upgraded sway bar links? Check out our catalog of Megan Racing adjustable links. You need the capability to have every degree of adjustment above and beyond that of a street driven vehicle. Additionally you need strength to withstand the stresses and strains of hard corners, a rough road course and brutal weight transfer and chassis flex. These reinforced Sway-Bar End-Links are constructed of a steel alloy with a high tensile strength. This allows it to withstand the rigors of strong weight transfer and aftermarket sway bars. Complete with Polyurethane Bushings for a more direct energy transfer and feel, these end links were designed with competition in mind while still being perfectly suited for a street vehicle. In conclusion these sway bar links are a minor investment that pays off with noticeable improvement. In other words it’s a no brainer to install these links on your vehicle.